After achieving financial independence at the age of 34 in 2008, he refers to himself as “The Financial Independence Coach.” The clients he serves fall into one of two groups. The first group of clients he serves are baby boomers with liquid assets who are willing to delegate all of their financial headaches to someone that can help minimize them. These are clients who have expressed frustration with not getting anywhere close to their retirement goals. So, what he does is show them a 3-step process he uses to design a plan to address their financial headaches. 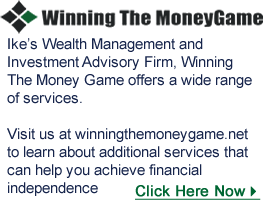 These plans are designed to help clients who would like to seek the growth of their assets while managing risk so they can achieve financial independence. The second group of clients he serves are business owners who have expressed frustration with growing their business only to find The IRS taking a bigger chunk of their profits and their tax professional’s only response being….”the more you make, the more they take.” For this group of clients, he designs and implements strategic tax plans that may help them to save anywhere from $15,000 to $100,000 or more annually in taxes and shows them how to use those savings to put them on the fast track to achieving financial independence. 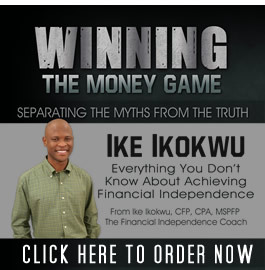 A financial speaker and a contributor to The Huffington Post’s Money Section, Ike Ikokwu has also been interviewed for several publications and TV news programs. He has held licenses professionally as a Certified Public Accountant, a Certified Financial Planner, an Insurance Professional and an Investment Advisor Representative. He holds a Masters Degree in Personal Financial Planning from Georgia State University in Atlanta. 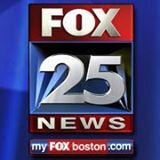 His book, Winning The Money Game, has become a resource for retirement-minded baby boomers across the country and was a best seller on Amazon during the first week of its release in June 2012. His firms specialize in customizing tax and financial planning strategies to help business owners and baby boomers achieve their financial goals.